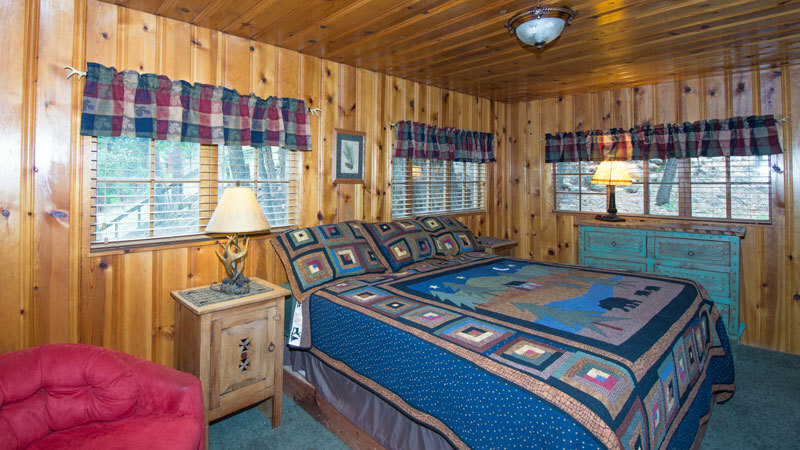 DESCRIPTION: Our Cabin Fever cabin is one of the closest (only two blocks) to Ruidoso’s popular mid town area. 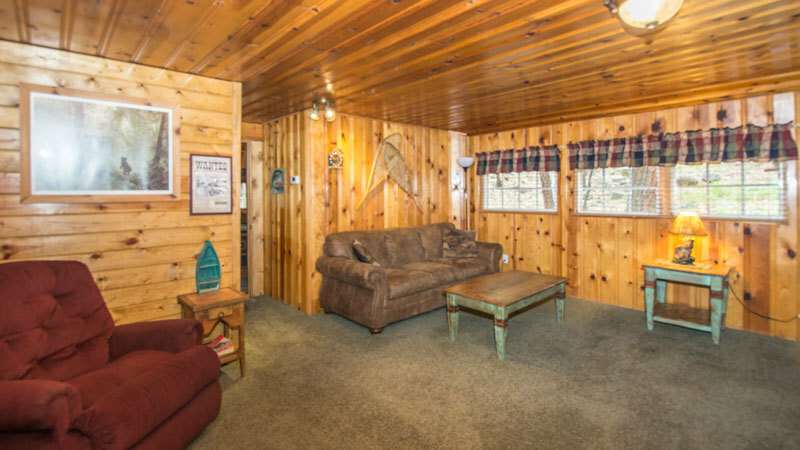 This is a real Ruidoso cabin with lots gorgeous wood and features a semi-open concept with lots of personality. It’s location, just across from the river, makes for lots of opportunity for various wildlife to wander by, such as Elk and the odd Black Bear. Of course, you can count on deer dropping by to say hello, so bring some apples. 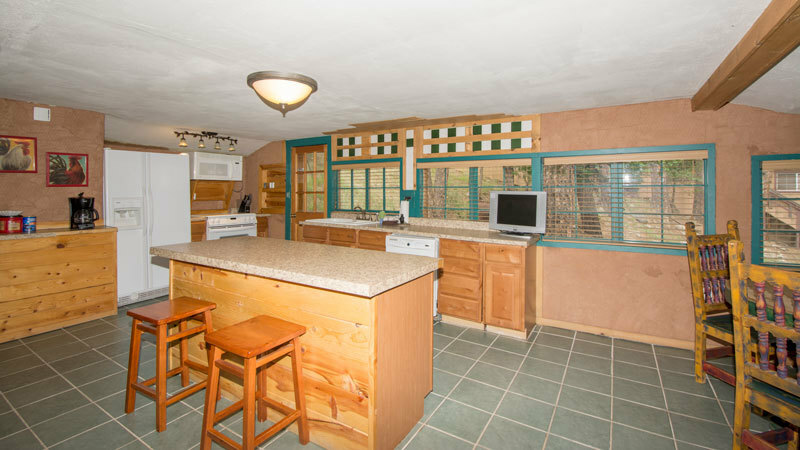 The cabin has a full cook’s kitchen and an attached dining area with lots of windows and natural light. 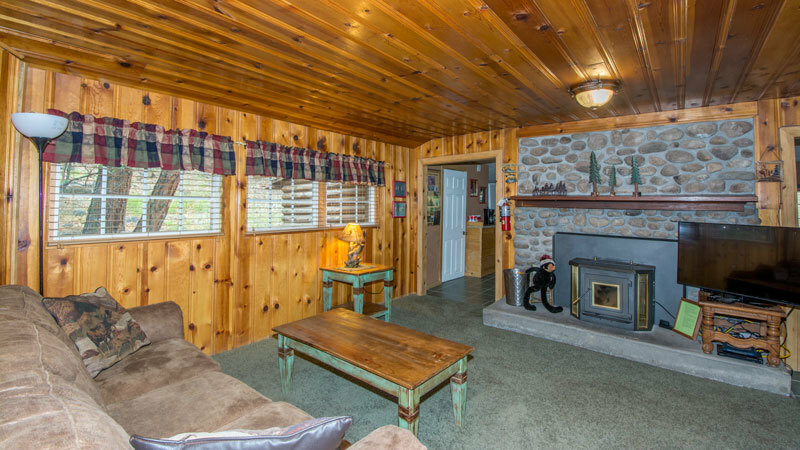 The living area is roomy and features a flat screen, DVD player and a pellet stove for those cozy winter nights. 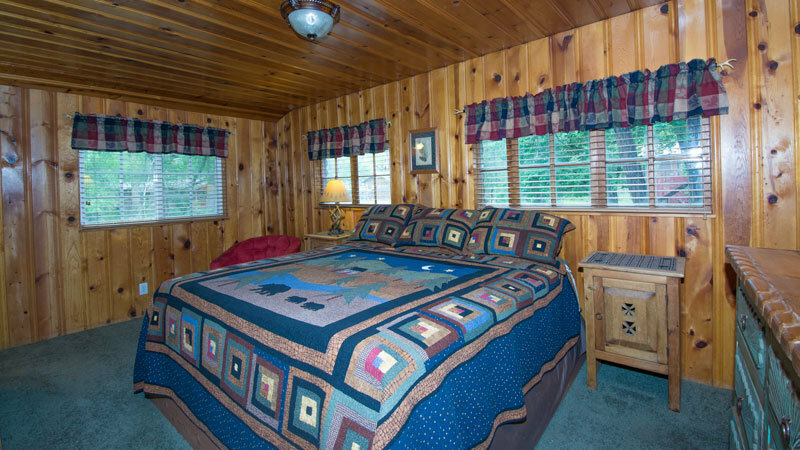 The bedroom is large and has a King bed with a designer quilt set and an en-suite bath with a very inviting whirlpool tub. 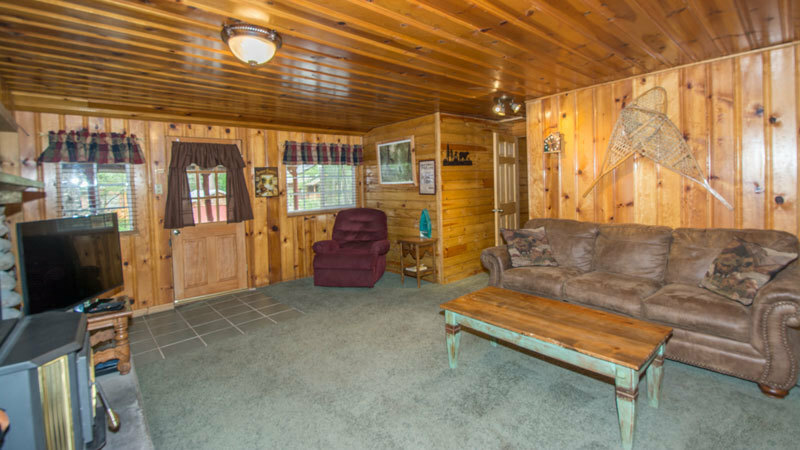 There’s a fold out couch in the living room for the kids or friends and a full second bath, so everyone has their own. 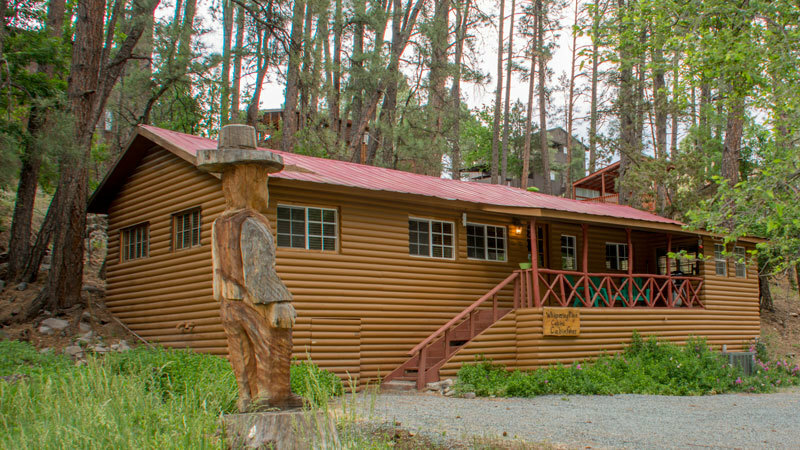 Sit on the private deck with a morning coffee (which we provide) or a special beverage in the evening and relax under the swaying pine trees while the humming birds flitter by. Check in with the outside world with our free high speed internet and share your experience! 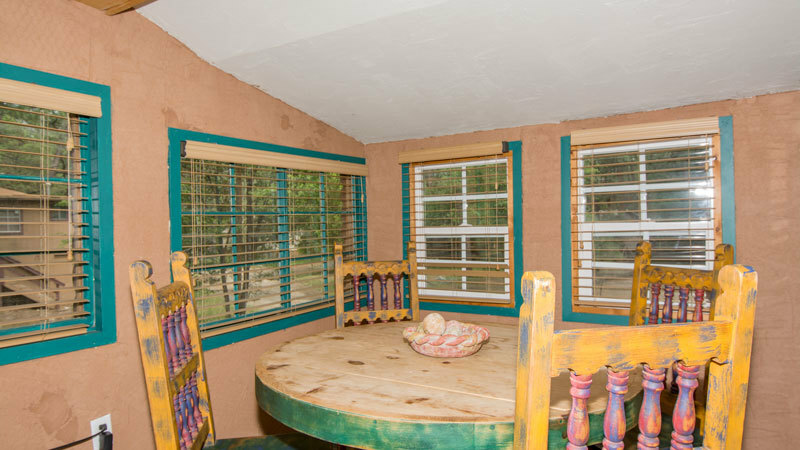 All of Ruidoso’s attractions are just moments away including dining, shopping, gambling, horse racing, hiking and so much more. Check out the in-room directory for all the information you will need including our list of excellent restaurant suggestions (where the locals eat).